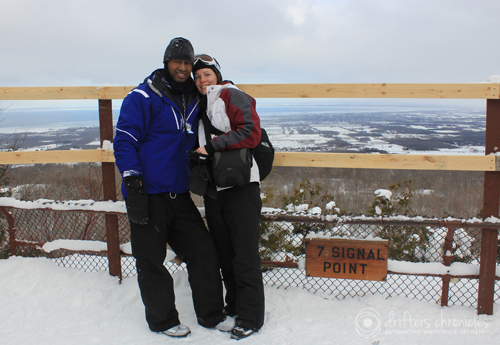 Our winter fun cross-country skiing was at Scenic Caves in Blue Mountains, Ontario. Nature is beautiful. 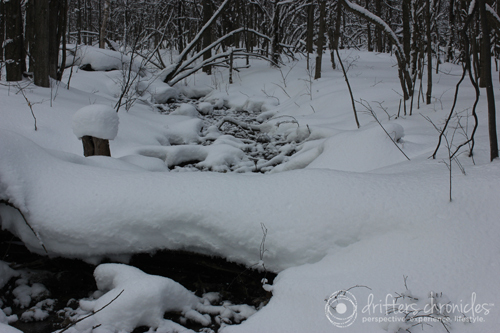 The snow softly covers the dense forest and creates this wonderful picturesque scenery. 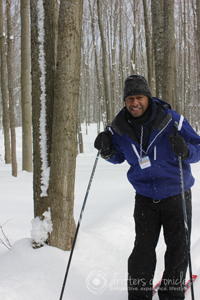 Both of us had a blast cross-country skiing. I haven’t been out for over a decade, I forgot how much I missed it. It is really a great activity for a family. It is more relaxed and fairly easy to learn, especially when you are a child. It’s also a great day out with a bunch of friends. If you are new to the sport I would highly recommend a ski lesson (to prevent unnecessary injuries). 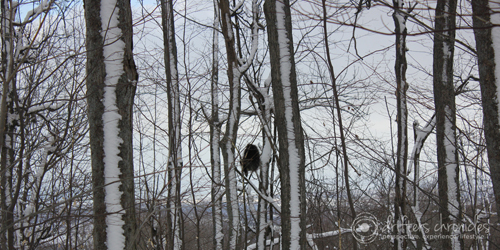 This is a view from one of the trails. Georgian Bay is straight out in front and Collingwood below. 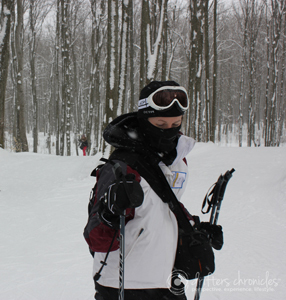 After skiing we stopped at Creemore Springs on the drive home (check the brewery hours ahead of time). We would recommend the stop if you enjoy beer, Creemore is a quaint little town. 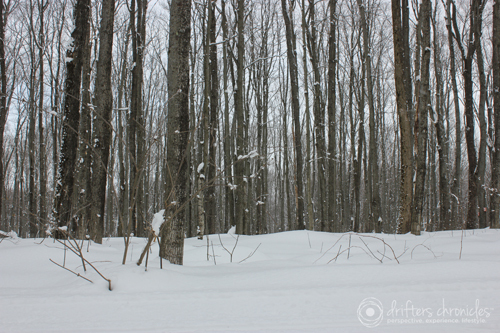 This entry was posted in Canada, Experience, Hers, Lifestyle, Nature, North America, Ontario, Perspective, Sports and tagged Cross Country Skiing, Scenic Caves, Travel. Bookmark the permalink.